With more than 2.5 million page views and more than 4,700 items, this blog provides news and commentary on public policy, business and economic issues related to the $3 billion California stem cell agency, officially known as the California Institute for Regenerative Medicine(CIRM). David Jensen, a retired California newsman, has published this blog since January 2005. His email address is djensen@californiastemcellreport.com. The article appeared on the Internet site that is produced by the Center for Genetics and Society of Berkeley. The piece cites several recent efforts from within the stem cell community to highlight the risks of dubious, expensive stem cell treatments that are being offered domestically and internationally. One final note: Shanks did praise a couple of scientists by name for their clear-eyed view of the stem cell treatments, including Paul Knoepfler of UC Davis. 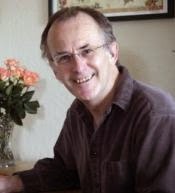 He blogs on the subject often and has authored a book aimed at the public that informs about stem cells in general an gives good advice about how to judge stem cell treatments. Additionally we should mention that when Weissman was head of the International Society for Stem Cell Research a few years back, it began an effort to inform the public about dubious stem cell treatments. The move ran afoul of companies that threatened legal action, and it was substantially toned down. Even if such efforts to inform the public are accurate and well-justified, the legal costs of defending them can run quite high. Hillary Clinton today endorsed California’s nearly 10-year-old, $3 billion effort to create stem cell therapies for everything from cancer to urinary incontinence. "California (undertook) a very important task in creating a funding stream for stem cell research. Other states have followed suit, when it looked as though the federal government would not be doing that. States have a role to play, but we need a national framework." Her remarks were reported by Bradley Fikes in the San Diego U-T, who was covering the convention, which has attracted 15,000 attendees. Fikes did not report on whether Brown endorsed more funding for the Golden State’s stem cell agency. It will run out of cash for new awards in 2017 and is looking for more financial support. The agency is likely to find to some politic way to incorporate Clinton’s statement into their fundraising efforts. The California stem cell agency this morning announced that one of its early stage clinical trials has produced “encouraging safety data” in its search for a therapy that could eradicate AIDS. The agency said in a press release the trial will now move forward to its next stage which will focus on efficacy. The gene-based therapy, dubbed Cal-1, was developed by Calimmune of Tucson, Az. Calimmune has a powerful scientific pedigree. Nobel Laureate David Baltimore, one of the firm’s founders, is chairman of the Calimmune board. He also once served on the governing board of the stem cell agency, formally known as the California Institute for Regenerative Medicine (CIRM). The Calimmune Web site says that the company was formed in 2007 around stem cell technology discovered in the labs of Baltimore, while he was at Caltech, and Irvin Chen at the UCLA AIDS Institute in early 2000. Delaware state records show that the firm was incorporated in 2006. Baltimore served on the CIRM board from 2004 until June 6, 2007. He resigned from the agency board about 18 months before the application process began for the grant round that ultimately funded Calimmune. 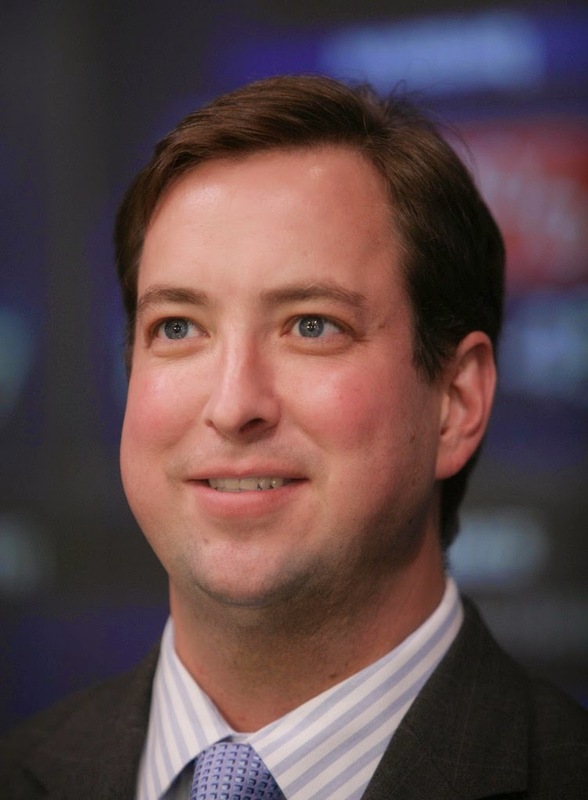 In addition to Baltimore, another member of the the Calimmune board is Harry George, managing general partner of Solstice Capital, whose Tuscon’s office shares the same address as Calimmune. The trial, which is taking place in San Francisco and Los Angeles, is partly funded by CIRM, which has awarded Calimmune $8.3 million. Originally, the Calimmune research was part of a $20 million disease team grant involving UCLA. That was split, however. CIRM now lists the original award as a closed, $9.9 million grant shared by Calimmune and UCLA. Calimmune and the stem cell agency discussed the therapy at today's session of BIO2014 in San Diego, which is attended by about 15,000 persons in the biotech industry. Here is a copy of the Calimmune contract with the stem cell agency. Working in a research lab doesn’t even come close to the risk involved in being a logger, which ranks as the most deadly occupation in America. Nonetheless, handling a variety of risky substances and chemicals does involve significant hazards. We were reminded of that in the last few days in the wake of a tragic case at UCLA and the anthrax exposure flap at the CDC. According to a report yesterday, as many as 84 persons were potentially exposed to live anthrax at CDC laboratories in Atlanta. The details of how the exposure came about are still being investigated, but it is clear that it involved a breach of safety standards. Anthrax, of course, can cause death. Along the way, the inhalation form of the disease “progresses rapidly with high fever, severe shortness of breath, rapid breathing, bluish color to the skin, a great deal of sweating, vomiting blood and chest pain that may be so severe as to seem like a heart attack,” according to emedicineheath.com. 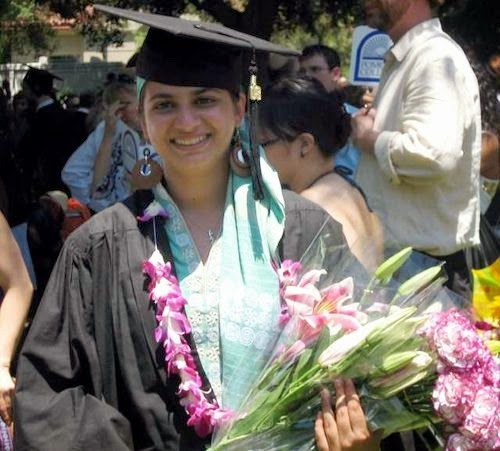 At UCLA, the case involves the horrible burning death of a lab worker, Sheri Sangji, in 2008. The University of California once said the charges that it was at fault were "outrageous." It took four years for the University of California to accept responsibility for the conditions that led to her death. The school has agreed to follow safety procedures and create a $500,000 scholarship in Sangji’s name. In return, he will serve no jail time. "This settlement, like the previous one with UCLA, is barely a slap on the wrist for the responsible individual." What does all this have to do with stem cell research in California? Thousands of persons work in labs linked to such research in the Golden State. Sometimes they deal with dangerous substances. It behooves the scientists in charge to ensure that none of their workers suffer because of a failure to adhere to safety standards. Moreover, safety at state-funded labs should be a matter of utmost concern for the folks at the California stem cell agency who have more than $1 billion in experiments under their oversight. It wouldn’t hurt to remind recipients of state largess of the need for making safety their No. 1 task. For other pieces and commentary on the UCLA case, see OSHA faults UCLA, pervasive problems in labs, and UCLA response. Fresh information is emerging on the USC-Scripps deal, including the loss of two scientists to the Los Angeles school. And from Florida is coming news that Scripps would receive $15 million a year for 40 years under the terms of some sort of merger. “While the sum of $600 million sounds large, applying even a rock-bottom interest rate of 2.2 percent to the 40-year payment schedule reduces the present value of the deal to $250 million. No further details of the possible arrangement were reported in the Florida newspaper. “When (former Gov. Jeb) Bush announced The Scripps Research Institute’s expansion to Palm Beach County in October 2003, he touted an economic impact study that said the investment in Scripps would spawn 6,500 spinoff jobs and create as many as 50,000 high-paying jobs statewide in 15 years. The keynote appearance this afternoon by California biotech maven Steve Burrill has been cancelled at the BIO convention in San Diego in the wake of allegations of mismanagement and inappropriate diversion of $19 million. Ron Leuty of the San Francisco Business Times reported in a brief piece late yesterday that the 90-minute talk was scrubbed. A lawsuit filed last month by Ann Hanham, a former managing director of Burrill & Co., said that $19 million was diverted by Burrill at the firm. The suit also said that Burrill was removed from control of a $283 million venture capital fund. "A spokeswoman for the San Francisco-based financier told Xconomy that Burrill made the decision Friday and has decided to keep a low profile. Burrill has not made a statement since news of the lawsuit broke last week. "The spokeswoman said his lawyers should file a response to the lawsuit by the end of July." The University of California at San Diego is emerging as a suitor for The Scripps Research Institute as its top faculty say a merger with USC would “destroy” much of the institute. According to an article by Bradley Fikes and Gary Robbins of the San Diego U-T, the only major daily newspaper in the area, the chancellor of UC San Diego thinks an arrangement with Scripps is worth exploring. Both institutions are located near each other in the La Jolla area north of the City of San Diego proper. USC(the University of Southern California) is about 130 miles farther north in central Los Angeles. All three are biomedical research powerhouses. The “information” mentioned in the faculty note is not yet available. Fikes and Robbins broke the story about a possible hookup between Scripps and USC. Scripps is wrestling with financial problems. Fikes reported today that Scripps' expansion into Florida is part of its economic travails. USC is better off financially and has its eyes on Scripps' prestigious researchers. Stem cell research is no minor matter at all three institutions. UC San Diego has received $146 million from the state stem cell agency, USC $105 million and Scripps $45 million. All three have representatives on the agency's governing board. Twitter used to mean chirping. The word conjured up images of sparrows fluttering and warbling under the eaves. Today, it more likely evokes images of lightning-like communications and billion-dollar businesses. Twitter – the non-chirping variety -- drew attention this week from Kevin McCormack, the majordomo of communications at California’s $3 billion stem cell agency. His job is to tell the story of the agency and build public support. McCormack was at the annual meeting of the International Society for Stem Cell Research in Vancouver in Canada where he ran across Julie Robillard, a neuroscientist who is looking into how social media – blogging, Twitter, etc. – are shaping how science is communicated. 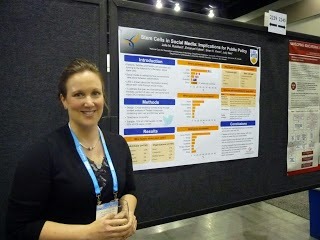 Robillard, who writes a blog on neuroscience, had a poster presentation at the meeting dealing with the public policy implications of the use of social media related to stem cell research. McCormack discussed her work yesterday on the stem cell agency’s blog. Steve Burrill is perhaps the leading maven on biotech in California as well as nationally. He has raised more than $1 billion for life sciences financing via his investment banking firm. He publishes an annual state-of-the-industry study that is something of a bible. He is an omnipresent speaker at major biotech conferences. In 2006, his firm organized a stem cell conference that was partly a celebration of the California stem cell agency. Next week he is scheduled to be a keynote speaker at the huge BIO2014 industry conference in San Diego, which is expected to be attended by 16,000 persons. Other stories used terms like “disbelief,” “fraud allegations,” “ousted” and "dumped." "G. Steven Burrill, the CEO and founder of Burrill & Co., a San Francisco financial firm specializing in biotechnology and life sciences investing, was ousted from control of a $283 million venture capital fund earlier this year by big institutional investors that cited willful or reckless misconduct related to unauthorized payments, according to documents recently filed in California State court in San Francisco." Burrill has not yet responded to requests for comments from the media covering the situation. And it is not clear whether he will still appear for his scheduled 90-minute talk next Tuesday in San Diego. The new president of the $3 billion California stem cell agency, Randy Mills, will bring his stump speech to San Diego next week where more than 10,000 biotech business types are expected to gather in perhaps the largest such meeting in the nation. Mills has scheduled a public appearance, with questions from the audience, for next Tuesday at the Manchester Grand Hyatt hotel. He will also moderate a panel at the BIO 2014 convention on commercializing stem cell therapies, a subject with which he is intimately familiar. Mills was head of Osiris Therapeutics as it slogged its way to approval of a stem cell therapy. Linda Marban, CEO of the CIRM-funded and publicly traded Capricor, will be one of the speakers on the panel. Mills has been on the job fulltime only since June 1. He has made two public appearances this month, one in San Francisco, where the agency is based, and one in Los Angeles. Kevin McCormack, senior director of public communications for the agency, wrote about one session last week. “1. Will it speed up the development of treatments for patients? “2. Will it increase the likelihood of developing a successful treatment for patients? “3. Will it meet an unmet medical need? The San Diego public meeting next Tuesday will be from 6 p.m. to 7 p.m. at the Grand Hyatt, 1 Market Place, in the Gas Lamp rooms, A & B. Other top stem cell agency officials scheduled to be at the BIO convention, which could hit 16,000 attendees, include Chairman Jonathan Thomas, former President Alan Trounson and senior vice president Ellen Feigal. Here is the list of events for the Regenerative Medicine Day, which the stem cell agency is co-sponsoring, at BIO next Wednesday, including speakers. The former president of the California stem cell agency, Alan Trounson, has kept busy since leaving his post last month. Just this week he authored an opinion piece in The Scientist. Earlier this month he was at Cornell decrying the lack of federal funding for research. In his article in The Scientist, Trounson called for the outing of stem cell clinics that sell untested and expensive treatments to desperate people. “Malefactors” is what he called them. Trounson suggested that the Institute of Medicine could host such a file and help protect uninformed patients. But he also said Alliance for Regenerative Medicine, an industry group that is also engaged in lobbying, could do better in helping to expose dubious stem cell clinics. Trounson said that the $70 million Alpha clinic effort that he championed at the California stem cell agency is also aimed at tackling the problem. Grant applications in that program are due to be reviewed this fall. Trounson warned that fringe stem cell clinics damage the entire field. 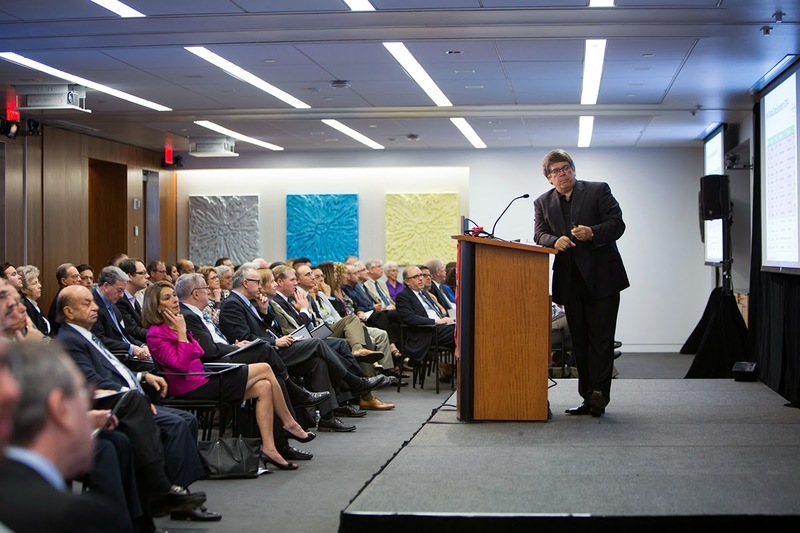 At Cornell on June 6, Trounson, who is a senior scientific advisor at CIRM until the end of this month, was the keynote speaker for a symposium on stem cells that also featured broadcast journalist Charlie Rose. "The [federal] government looks handicapped in this area. You've got a budget situation where you cannot seem to put more money into research — in fact, less money is going into research. We have to convince the people elected to government that this is an incredible revolution and that we need to keep funding the science." That could be a pitch for the California stem cell agency as well. It is scheduled to run out of money for new grants in less than three years and is currently looking at ways to develop new funding sources. USC and Scripps: A Looming Scientific Hookup? The University of Southern California (USC) and the Scripps Research Institute are engaged in talks that could involve a merger of their enterprises, a move apparently triggered by economic pressures and a desire for more scientific clout. The institutions released a statement on the discussions today in the wake of the first report on the move, which was published on the San Diego U-T Web site yesterday. According to the Los Angeles Times this afternoon, the institutions did not specify their final goal or lay out a timetable. Gary Robbins and Bradley Fikes broke the story late yesterday in the San Diego newspaper. They wrote that Scripps, which is based in La Jolla, Ca., has heavy reliance on federal research funding, which is stagnant and under great pressure. At the same time, USC, located roughly 130 miles north in Los Angeles, is eyeing the research capabilities of Scripps, which counts two Nobel Prize winners on its staff. 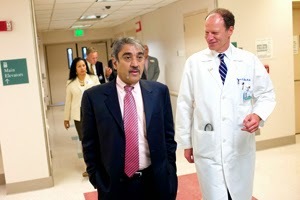 Both enterprises have large stem cell research efforts. The California stem cell agency has given USC $105 million in 26 awards. Scripps has received $45 million in 19 awards. As expected in the early stages of such discussions, it is not clear how the two stem cell research efforts would be affected. Scientific Journals: A Case of 21st Century Dinosaurs? Out of California's Silicon Valley comes a stout prediction this month that a $10 billion business that feeds off government-financed research has entered its terminal stages. The forecast was made by Dylan Tweney, editor-in-chief of Venture Beat, a technology news operation that not-so-coincidentally has no print arm. “Imagine an industry where a few companies make billions of dollars by exerting strict control over valuable information — while paying the people who produce that information nothing at all. He said that the leading companies in the field, Elsevier and Springer, have margins in excess of 35 percent. They subsist off research that is almost totally financed by public money while, at the same time, they do not pay scientists to review the research prior to publication. Tweney noted that the industry's relatively new competitors, including Plos, Academia and Arxiv, offer free access compared to pricey journal subscriptions that cost Harvard University $3.75 million in 2012. “Taken together, these online publishers represent a significant threat to traditional journal publishers like Elsevier because they reach more people and cost nothing. The only remaining value that traditional publishers offer is the imprimatur they provide: The articles they publish have been peer-reviewed and are thus presumably more reliable. Scientific publishing has also lured the California stem cell agency, which financed to the tune of $600,000 the start-up of a journal in North Carolina. As Tweney alludes, the situation is not much different than that of the newspaper and magazine industries a few years back. For the most part, those businesses blundered along in a very profitable mode, ignoring the Internet until it was too late to do anything other than scramble for survival. It is possible that the academic journal business can find a new model. But given organizational inertia and the unwillingness to cannibalize an existing and still profitable business, it is unlikely. Directors of the California stem cell agency today approved a $17.3 million, hold-the-line budget for the fiscal year that begins July 1, cutting $573,000 from a spending plan that was proposed in early May. The vote was 17-0 during a special teleconference meeting that also saw a proposed $900,424 grant sent back for a special examination by the agency's reviewers, said a CIRM spokesman via email. Directors were also told that without a $250,000, legally required performance audit this coming year, the operational budget would be $400,000 under the estimated current spending of $17.4 million. The spending plan reflects initial parsimony on the part of Mills, who made a career in business prior to coming to the agency. The previous CIRM CEOs have all come from academia. In other business, Kevin McCormack, senior director for public communications, said that the $900,424 proposed award to Helen Blau of Stanford was sent back for re-review by a subset of the agency's grant review group, also on a 17-0 vote. At the agency's board meeting May 29, some directors said the initial review was flawed and voted for a re-review by the full review group. However, re-reviews usually are undertaken by a smaller panel. The action on Blau award came as one high-level CIRM staffer, Natalie DeWitt, began work this week at Blau's Stanford lab. Both DeWitt and the agency told the California Stem Cell Report that she had no role in the review of the Blau application. Directors of the California stem cell agency tomorrow are scheduled to deal once again with a $900,424 proposed award to a Stanford researcher who recently hired a top staffer from the state research effort. The award would go to Helen Blau, one of the leaders of Baxter Laboratory at Stanford. On Monday, Natalie DeWitt, who was special projects officer for former CIRM President Alan Trounson, went to work for Baxter as director of research development. The award first came up at the directors' meeting May 29. It was recommended for board approval by Trounson and unidentified CIRM staff. During that meeting, CIRM Director Jeff Sheehy, who is also a member of the grant review group, said that a copy of the application and the scientific critique was not provided to him at the March 24 review session. The application was submitted by Blau in January. Sheehy and another director said the review was flawed. Sheehy noted that the Blau proposal was not approved for funding by the agency's out-of-state scientific reviewers. He said that during the closed-door review session several negative comments were made about the proposal during oral discussion. The application received a scientific score of 73, two points below the cut-off for funding. CIRM staff said, however, the proposal had merit and should be funded. Director Sherry Lansing said it was important for the board to be open and transparent and suggested that the application be sent back to the full review group for further consideration. The 29-member board did so on a 9-0 vote. Members not voting either had conflicts of interest or were not present. At the time of the meeting, DeWitt's then future employment by Baxter was not widely known and was not mentioned during the discussion. Asked for comment today by the California Stem Cell Report, DeWitt said in a telephone interview that she was not involved in any way with the application. She also said she has not been involved with any of Blau's applications to CIRM or those from Garry Nolan or Peter Jackson, the other two leaders of the Baxter lab. Blau has been awarded $2.8 million by CIRM and Nolan $1.3 million. He is also a leader on a $20 million CIRM grant. DeWitt said her work at CIRM involved the $70 million Alpha Clinic proposal and the $40 million stem cell genomics award that went to a Stanford-led consortium. She said Baxter's Peter Jackson, who has some expertise in human genetic disease, is not involved in the genomics proposal. The CIRM contract on the award is yet to be signed. DeWitt was mentioned yesterday in an article on the California Stem Cell Report dealing with “revolving door” issues involving government employees who go to work for enterprises that are linked to their former agency. The issues are likely to become of more concern to the stem cell agency in the next couple of years. The agency is scheduled to run out of money for new grants in 2017, and some employees are likely to be looking for work in the stem cell field in California, which only involves a small number of private and public enterprises. CIRM employees are briefed on conflict-of-interest and revolving door issues, according to the agency. Its employee handbook also contains information on the subject along with a link to a state Fair Political Practices Commission document further explaining revolving door rules. “An interview with an employer or his or her agent. “Discussing an offer of employment with an employer or his or her agent. McCormack did not respond to a request for the names of the CIRM staff involved in making the recommendation to approve the $900,424 Blau award. At tomorrow's teleconference meeting, the CIRM board is scheduled to act on a proposal to have the Blau application re-examined by a subset of the grant review group -- not the full group. Interested parties can either take part in the meeting or listen in from a number of sites in Northern and Southern California and elsewhere. Specific locations can be found on the agenda. The phrase “revolving door” is not one that rolls off the tongues of most Americans. But it is shorthand for an issue that concerns both Elon Musk of Tesla and SpaceX fame as well as taxi drivers in New York City. It is also a matter of importance to the $3 billion California Institute for Regenerative Medicine (CIRM) and other state agencies. The issue surfaced this week with the departure of a high level staffer at the San Francisco-based agency -- Natalie DeWitt, special projects officer for its former president, Alan Trounson. DeWitt's final day at the agency was last Friday. She began her new job on Monday at Baxter Laboratory at Stanford University. 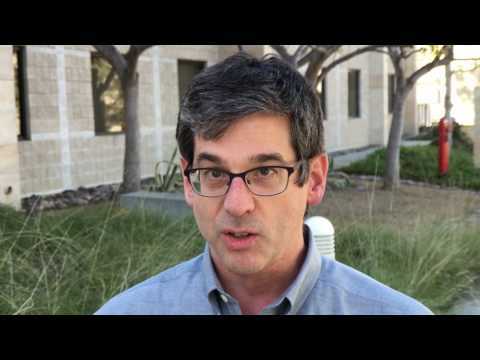 Baxter is run by Stanford scientists Helen Blau, Garry Nolan and Peter Jackson. Blau has received $2.8 million from the stem cell agency. Nolan has received $1.3 million. He is also a leader (co-PI) on a $20 million award in the agency's signature disease team effort. No one is alleging that DeWitt or others have done anything wrong. She has a fulsome resume and a record of accomplishment. Her departure from CIRM and employment at Baxter, nonetheless, does bring to the fore revolving door employment issues that now are a matter of greater concern for the agency than they were five years ago. The agency is scheduled to run out of funds for new awards in less than three years. Some of its employees are undoubtedly going to be looking for future employment in California's small, stem cell research community. It would be natural for agency employees to want to capitalize on their unique experience at CIRM. That is what gaining professional experience is all about. But there are legal and ethical constraints. To prevent improper influence on governmental actions, the state of California has laws dealing with revolving door employment. Briefly summarized, state law says that certain former state employees and consultants can be banned from attempting to influence their former agency, either for one year or permanently. Current state officials also can be barred from taking part in decisions that directly relate to a prospective employer. Revolving door problems are not new to either state or national government. They have long dogged such agencies as the Department of Defense. That's what Musk complained about via Twitter in a matter involving his space exploration firm, SpaceX. According to Bloomberg News, Musk tweeted last month about how competitors of his space company hired an Air Force official allegedly as part of a move to secure a chunk of a $68 billion Pentagon satellite project. And in New York City, questions also rose last month concerning the employment of a former top city taxi regulator by the noted ride-sharing company Uber, a competitor in the city's big taxi business. DeWitt, who was paid $199,000 in 2013, worked for the stem cell agency from September 2011 until this month. She played a key role in the $70 million Alpha Clinic proposal championed by Trounson. She was also deeply involved in the $40 million stem cell genomics award that went to a Stanford consortium last January following a controversial review process. She and Trounson co-authored an article in Nature Biotechnology promoting the genomics plan. DeWitt was one of the organizers of a conference last September at the University of Oxford dealing with cancer and stem cells. Her new bosses, Blau and Nolan, were scheduled speakers along with Stanford's noted stem cell scientist Irv Weissman. She has not responded to a query Monday about her views on the subject of revolving door issues. More than four months after a Stanford-led consortium won a $40 million stem cell genomics award, the California stem cell agency has not yet concluded a formal contract with the researchers. The award was approved Jan. 29 by the agency's board following a process that Stanford's competitors said was marred by unfairness, apparent preferential treatment and manipulation of scientific scores. The award is aimed at creating medical treatments tailored to a patient's genetic makeup and making the state a world leader in stem cell genomics. In response to a query from the California Stem Cell Report, Kevin McCormack, senior director for communications, said that the contract with the consortium remains unsigned. He said, however, that the agency is hopeful that final details will be worked out soon. A California-based effort to ease patent restrictions on the research use of human embryonic stem cells last week suffered a severe blow when a federal court of appeals ruled in favor of a Wisconsin organization known as WARF. At the heart of the matter is the question of who profits from stem cell research along with whether the patents stifle scientific research. The ruling came Wednesday in a legal action brought by Consumer Watchdog of Santa Monica. The effort was supported by the former president of California stem cell agency, Alan Trounson, and Jeanne Loring, head of the stem cell program at Scripps in La Jolla, Ca. Doug Melton and Chad Cowan, both of Harvard, also backed the challenge. A federal court of appeals in Washington, D.C., said Consumer Watchdog had no standing to sue to overturn WARF patents. The court said that because Consumer Watchdog “has not identified a particularized, concrete interest in the patentability" of the work or shown “any injury in fact...it lacks standing to appeal” earlier decisions in favor of WARF. "We are reviewing the decision and considering our options. It's important to remember that because of our challenge WARF's claims were substantially narrowed as the patent went through the PTO (patent office) process." WARF has not responded to a request for comment from the California Stem Cell Report. Consumer Watchdog is represented in the matter by the Public Patent Foundation of New York, which successfully argued before the U.S. Supreme Court last year that genes cannot be patented because they occur naturally in nature. Here is a link to legal documents and other material in the case. Last week's decision can be found below. The California stem cell agency's $70 million Alpha Clinic plan has hit a stumbling block in the drive to make the Golden State the“go-to” location worldwide for stem cell treatments. The agency reported today that it has encountered difficulties in lining up the necessary expertise to make the decisions on the complex applications, which are now awaiting judgment. The closed-door review session was originally scheduled for this month. McCormack said the new review session would probably be held in the fall. The agency expects to have 15 experts from outside of the state to examine the applications in addition to eight members of the agency board. The Alpha clinic proposal attracted applications from eight, unidentified, major California institutions earlier this year. The intention is to create one-stop locations for stem cell treatments that would lure patients and scientists from around the world. The plan is a much-touted initiative by former CIRM President Alan Trounson, who resigned to rejoin his family in Australia. Randy Mills, the former CEO of Osiris Therapeutics, replaced Trounson six days ago. Trounson has been pushing Alpha Clinics since 2011. Just last month, he extolled the proposal before hundreds of regenerative medicine specialists at a Berkeley conference sponsored by the Regenerative Medicine Foundation. Trounson said that the clinics would serve as a “proving ground” to develop business models, to build and share data and to create a strategy that would help convince insurance companies and Medicare to pay for the treatments. Trounson, who is renown for his IVF work, said the existing structure of the IVF industry in the United States is evidence of the weakness of an unstructured approach. Agency spokesman McCormack did not answer a question about whether applicants would be given a chance to modify their proposals in the wake of the delay. One of the aspects of the RFA involves applicants providing some sort of matching funds or equivalent support to leverage the funds provided by the state of California. More time could mean that applicants could round up more matching cash. The delay also could possibly endanger existing commitments of support and affect employment arrangements as well as building schedules. In his first major public act, the new president of the $3 billion California stem cell agency this week whacked away at its proposed operational budget for the coming fiscal year, cutting $200,000 here and $20,000 there. When he was done, Randy Mills offered up a $17.3 million budget that reflected basically the same level of spending as this year. It could be even less given inflation and the vagaries of estimating expenditures for the current fiscal year. Current spending is estimated to hit $17.4 million by June 30, the end of the fiscal year. But that estimate is a month old and is likely to change somewhat. The budget proposed in early May by former CIRM President Alan Trounson hit $17.9 million, a 9.5 percent increase over estimated expenditures for this year. Mills' tight budget sent a parsimonious message to the agency staff and the agency's governing board. It also gave him more maneuvering room in upcoming years. The agency is limited by law to spending no more than 6 percent of its grant awards on administrative expenses. A possibility exists that it could run out of operational funds if it does not carefully watch its spending. Some members of the board have expressed concern in the past that the capped amount is too small for effective management and oversight of the agency's large portfolio of awards. The new CEO's budget also reflects the first time that the agency has not seen a significant year-to-year increase in its proposed spending compared to actual spending. Mills, former CEO of Osiris Therapeutics of Maryland, did not make across-the-board cuts in Trounson's initial CIRM budget. Rather Mills surgically excised the cash, including $50,000 from his own office. In terms of agency activities, the category of “reviews, meetings and workshops” took the biggest hit. Mills sliced $333,000 from what once was a total of $2.5 million. A meeting for the 600 CIRM grantees was eliminated along with $100,000 worth of meetings with outside advisors on the agency's complex disease team projects. Other outside contracting was lopped by $160,000. But even relatively small items were hit. A plan to spend $5,000 for a sponsorship at a personalized medicine conference fell by the way. Plans for training in the finance department were trimmed by $2,120. Mills' budget will now go to the full board in a telephonic meeting on June 13 for what is expected to be routine approval. A number of public locations are available where interested parties can listen and comment. The specific locations can be found on the meeting agenda. Going Slow in California on Stem Cell "Snake Oil"
The California Stem Cell Report is the only nongovernmental website devoted solely to the $3 billion California stem cell agency. The report is published by David Jensen, who worked for 22 years for The Sacramento Bee in a variety of editing positions, including executive business editor and special projects editor. He was the primary editor on the 1992 Pulitzer Prize-winning series, "The Monkey Wars" by Deborah Blum, which dealt with opposition to research on primates. Jensen served as a press aide in the 1974 campaign and first administration of Gov. Jerry Brown. (Time served: two years and one week.) 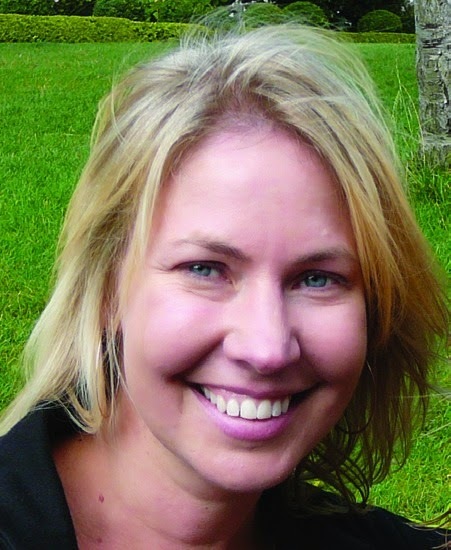 Jensen began writing about the stem cell agency in 2005, noting that it is an unprecedented effort that uniquely combines big science, big business, big academia, big politics, religion, ethics and morality as well as life and death. The California Stem Cell Report has been identified as one of the best stem cell sites on the Internet. Its readership includes the media (both mainstream and science), a wide range of academic/research institutions globally, the NIH and California policy makers. Home page of Consumer Watchdog (formerly the Foundation for Taxpayer and Consumer Rights), which has followed CIRM for more two years.